A robotics team from the University of Manchester has taught a so-called Regal Jumping Spider to leap on demand in order to study its unique anatomy and behavior, which let these arachnids fly up to six times their body length. The scientists hope that understanding the biomechanics will help them create micro-robots for military or other purposes. 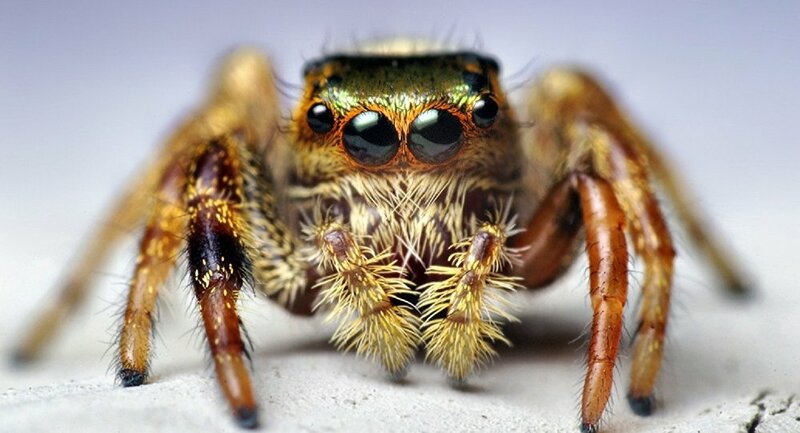 Their little hero, who they hope will help with the breakthrough, is a female spider named “Kim.” She was the only one of 4 arachnids the scientists bought who 'showed any inclination to jump as required', according to the Daily Mail. To teach her jumps of different lengths and heights, they didn’t use bait; they transported her between platforms several times. The researchers lured Kim across gaps with a nest with moss and water, making her jump different lengths, and filmed these exercises with ultra-high speed cameras. They also CT scanned Kim to create her 3D model. The research proved that Kim and the spiders of her kind use different strategies for different jumps for maximal efficiency. The researchers underscored the lucrative possibilities presented by the study, as it may help to create new micro-robots featuring a wide range capabilities.